The GDELT Project, “a real-time network diagram and database of global human society for open research”, has created the Conflict Dashboard, an intriguing map that provides insight in protests and conflict situations around the world. 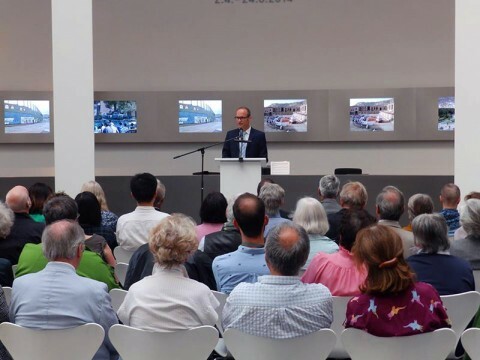 Last week, on Wednesday 16 July to be precise, the opening event of ‘The Good Cause: Architecture of Peace — Divided Cities’ took place at the Architekturmuseum der TU München. At the same time, Volume’s 40th issue, Architecture of Peace Reloaded, was officially launched. We’re very busy building up The Good Cause exhibition at the Architekturmuseum der TU München. Tomorrow at 7 PM is the official opening. At the same time we will be celebrating the launch of Volume’s 40th issue, Architecture of Peace Reloaded. 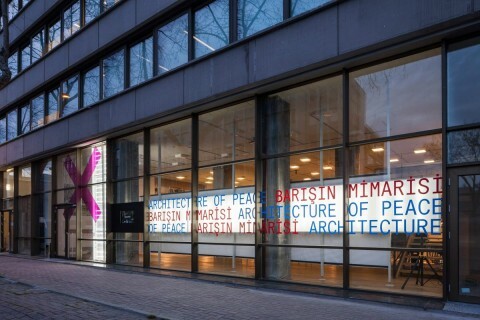 Architecture of Peace goes Munich! This Wednesday, 16 July, The Good Cause exhibition will be opened at the Architekturmuseum der TU München. At the same time we will also celebrate the launch of Volume’s 40th issue, Architecture of Peace Reloaded. As you may know our exhibition The Good Cause is currently on show at Stroom in The Hague. This spring Stroom will be hosting a side program accompanying The Good Cause, that consists of a number of tours, a congress, an Archis RSVP Event and a number of expeditions. Most of the events are free of charge. Two weeks ago, on March 8, we celebrated the opening of The Good Cause exhibition at architecture institute Stroom in The Hague. The exhibit, that will be on show until June 1st, addresses the military, political and cultural complexity of rebuilding operations. Can architecture actively contribute to this area of tension? Earlier this month, Forensic Architecture, SITU Research, and Ben Emmerson (United Nations Special Rapporteur on Counter Terrorism and Human Rights) launched a web platform that maps out civilian casualties from drone strikes in Afghanistan, Pakistan, Yemen, Somalia, and Iraq, as well as Israeli strikes in Gaza. People in Europe are more and more interested in shaping their own surroundings. Self Building Building transforms the current top- down building practice into a more flexible system with a bottom-up and adaptive approach. How to create your own affordable building as an individual or a group without it being an illegal or unsafe structure. How to negotiate with your neighbors and collaborate with the local government. An international exchange on personal ways to create space.